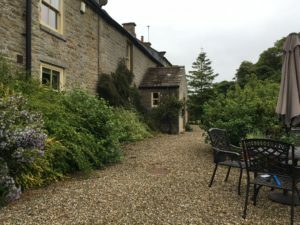 Clove Lodge is situated on the edge of the fells in a spectacular location near the head of Baldersdale. 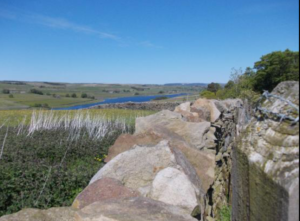 It offers peace and solitude amidst the dramatic scenery of the North Pennines Area of Outstanding Natural Beauty. 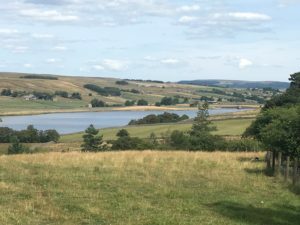 There are wonderful opportunities for walkers and mountain bikers, whilst the neighbouring reservoirs of Blackton and Hury offer fly-fishing. This is a haven for wildlife too, with a nature reserve and bird hide and the famous ‘Hannah’s Meadow’. Blackton Reservoir is one of the darkest places in the UK so if a night stargazing while relaxing in a fabulous Scandinavian hot tub sounds like your idea of paradise, then contact us about availability. Clove Lodge offers a warm welcome to walkers, families and couples who are looking for an escape from modern life. We are located at the heart of the Pennine Way, with Baldersdale marking the half way point at 134 miles, and what better way to celebrate than in front of a log burner with a slice of homemade cake. If you have a family and want to explore everything that ‘Gods Own Country’ has to offer we are ideally situated near the historic towns of Barnard Castle and Richmond, with the magnificent High Force Waterfall and Raby Castle a stones throw away. For those of you who want a peaceful retreat to share with your loved one, the tranquillity of Clove Lodge and its grounds are perfect. A hot tub and sauna will be installed in our woods during the Spring of 2019 adding to the romance of this special place. We offer different types of accommodation to suit all needs, from a well equipped comfortable bunk barn, to a luxury cottage. We have it all! We welcome well behaved dogs, and provide any service that will make your stay perfect from home cooked meals, fine dining, washing and drying facilities and even packed lunches. The first record of the farm is in 1301 and it has been in continuous occupancy since then. There have been several additions since then with the cottage being added last in approximately 1875. 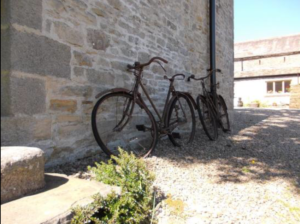 Part of the property is Grade 2 listed and the famous Hannah Hawkswell, whose former home is our nearest neighbour, spent her Christmases at Clove Lodge.